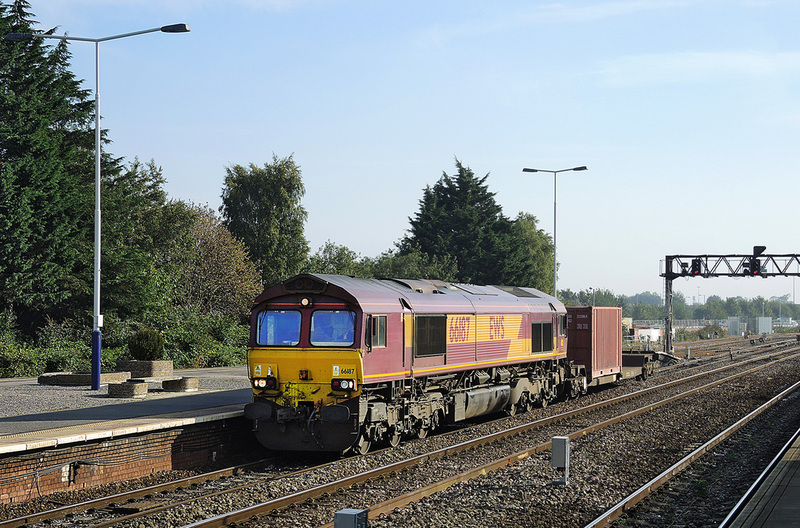 A4 No. 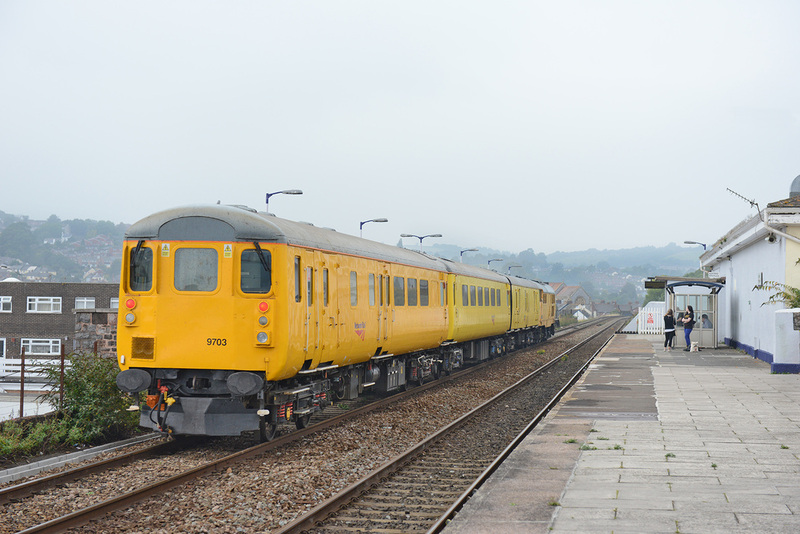 4464 crosses Cockwood Harbour, Starcross on 7 September 2014 in charge of the returning 'Torbay Express' the 16.50 Kingswear to Bristol Temple Meads. 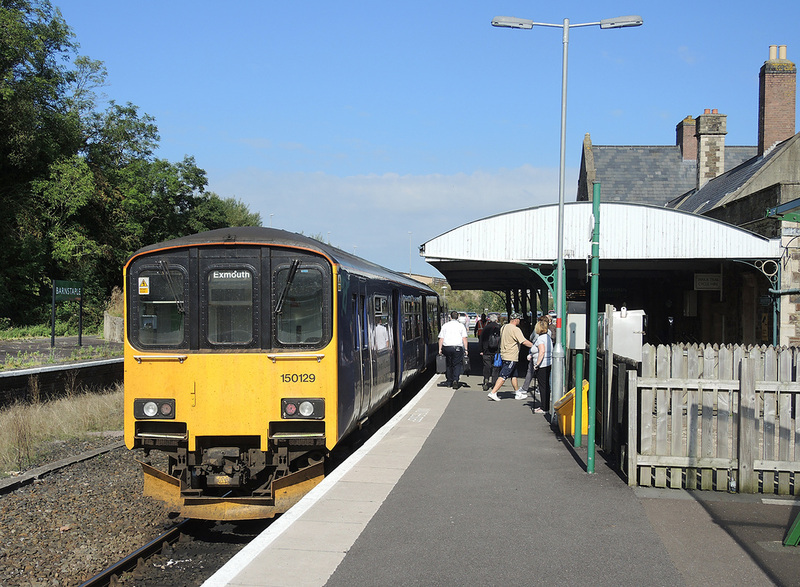 A4 No. 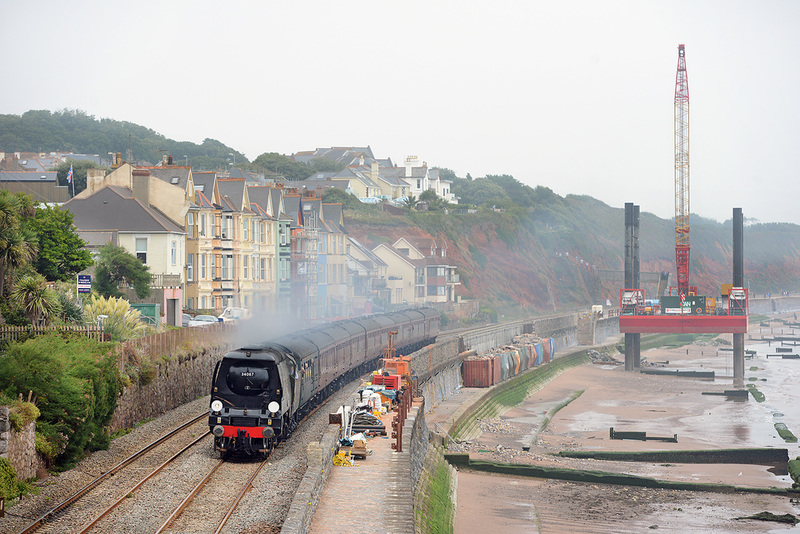 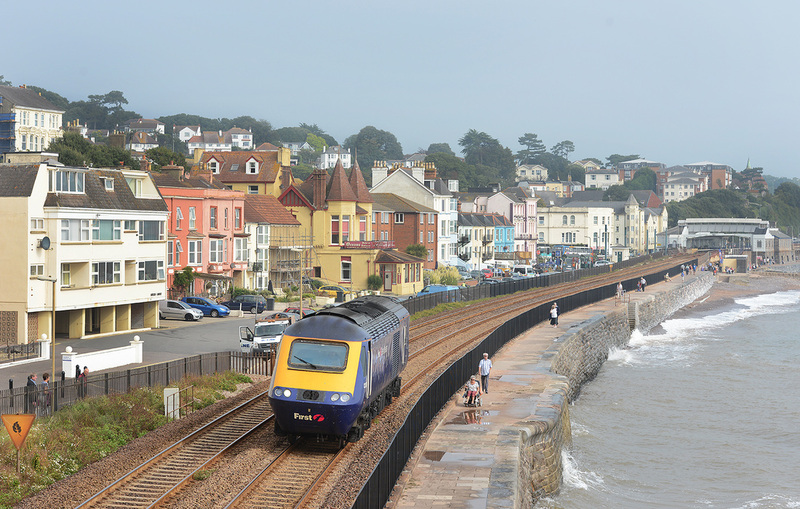 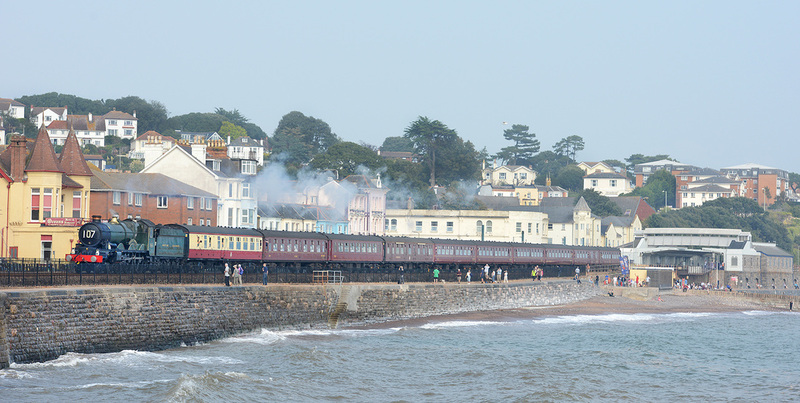 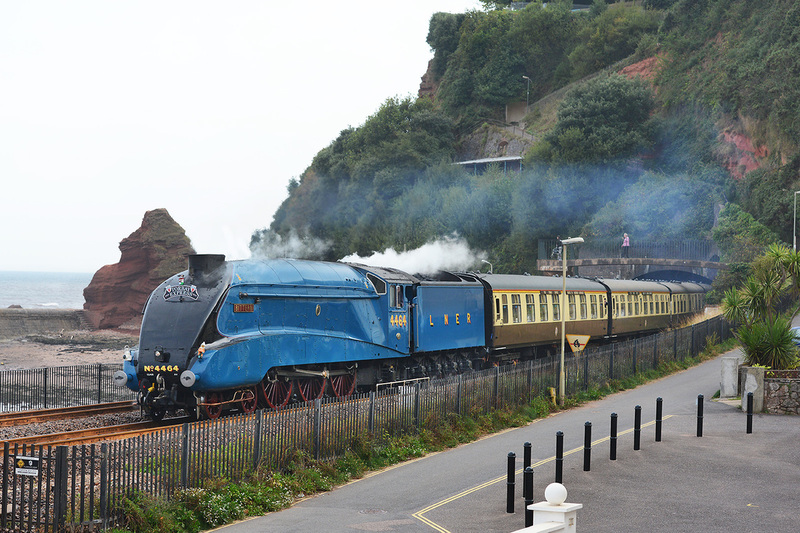 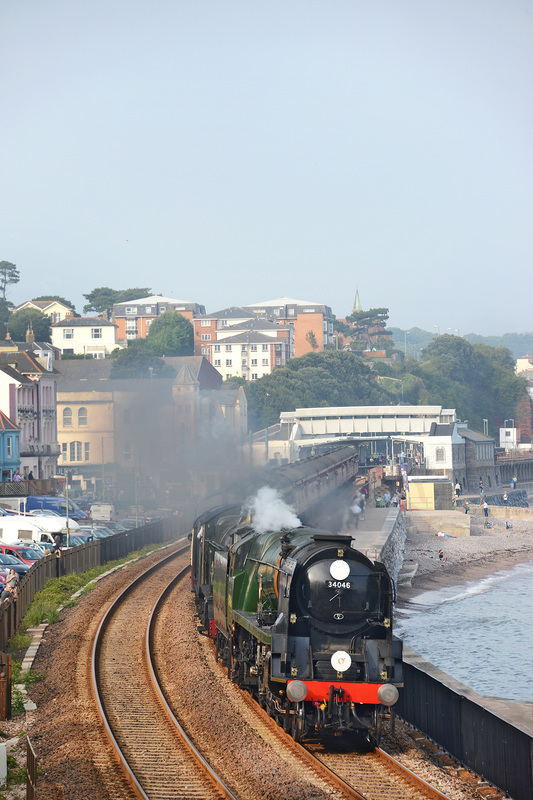 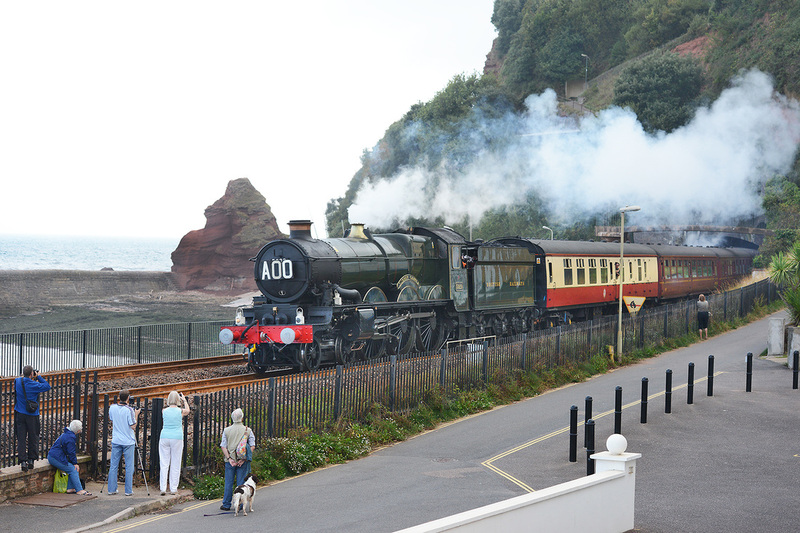 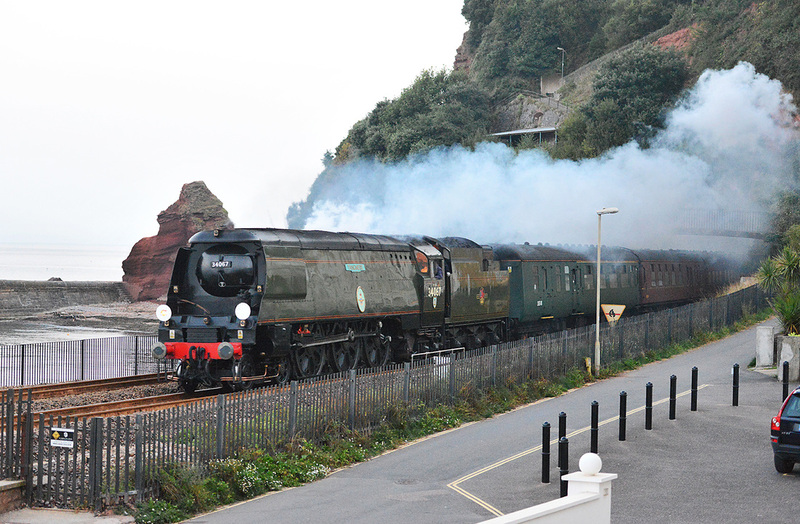 4464 passes along the Dawlish Sea Wall on 7 September 2014 in charge of the 'Torbay Express', the 09.15 Bristol Temple Meads to Kingswear. 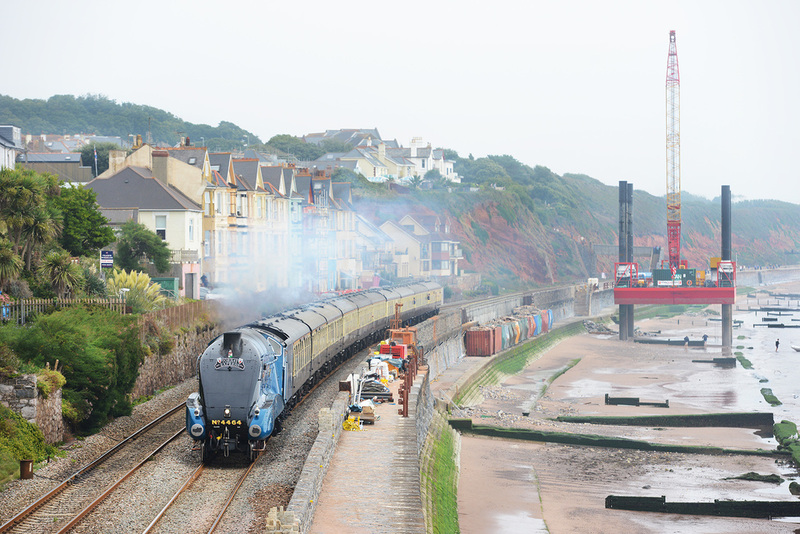 The train is passing the massive work platform and crane which arrived on 6 September and will be used to raise the height of the lower sea wall section on which shipping containers currently stand. 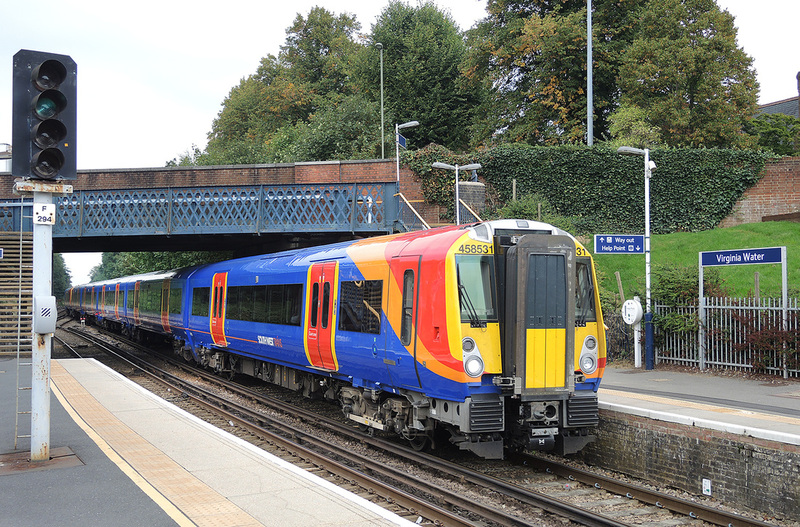 Bullied No. 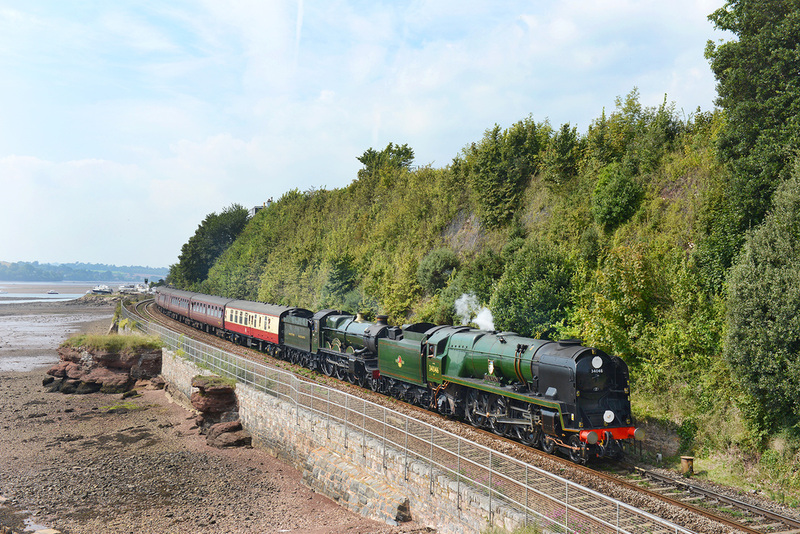 34067 passes along the Dawlish Sea Wall on 7 September 2014 powering 'The Royal Duchy' the 08.48 Bristol Temple Meads to Par. 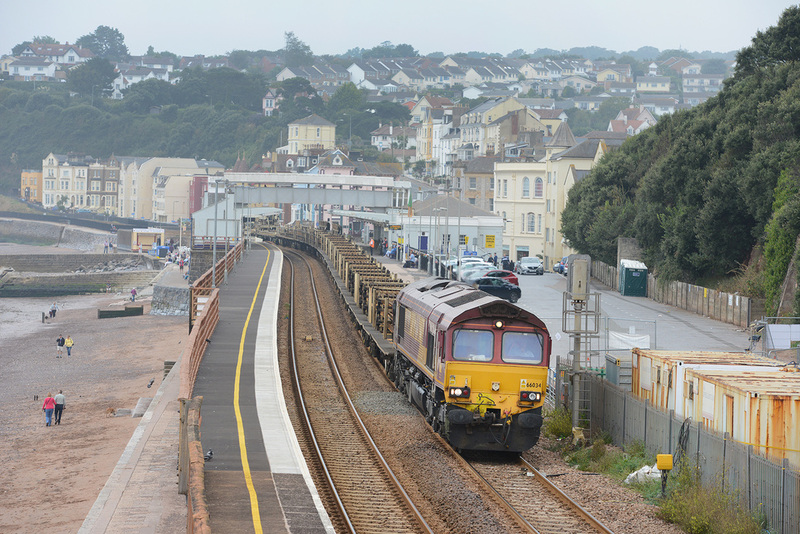 The train is passing the massive work platform and crane which arrived on 6 September and will be used to raise the height of the lower sea wall section on which shipping containers currently stand. 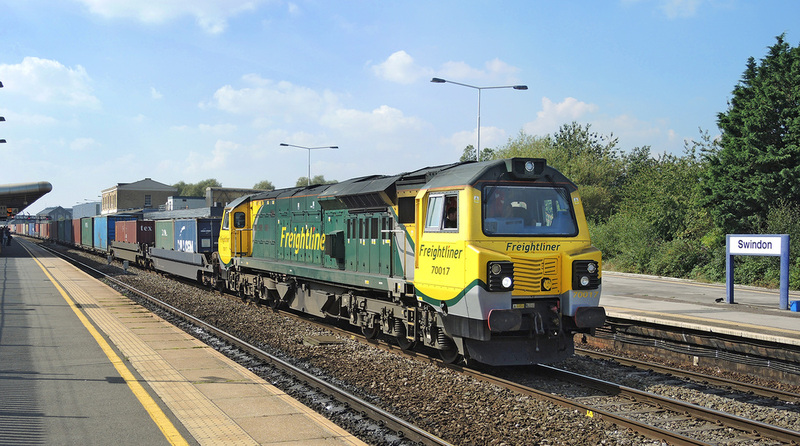 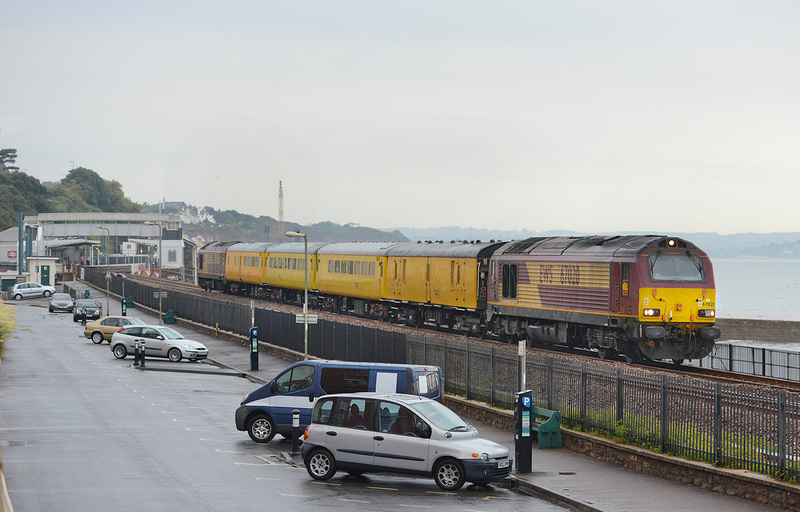 Class 66 No. 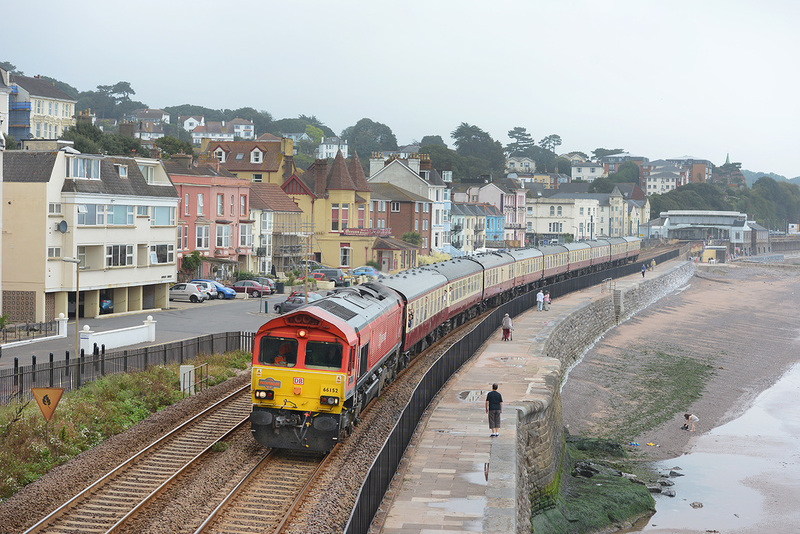 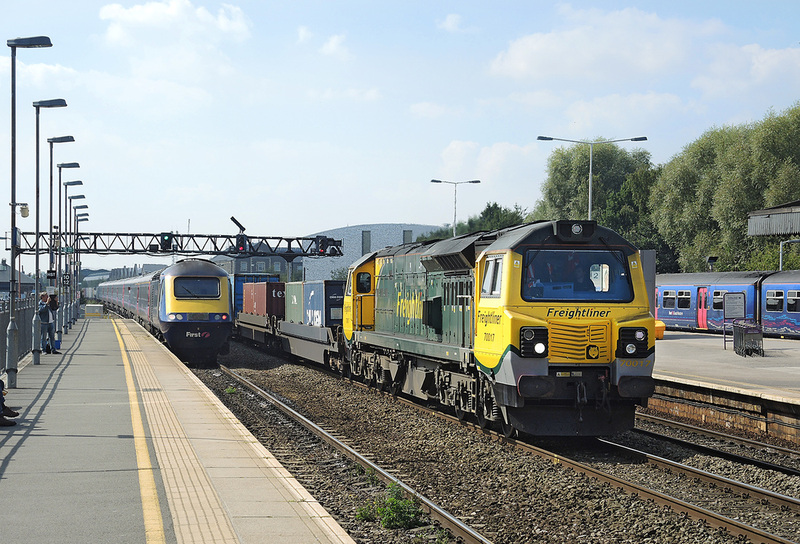 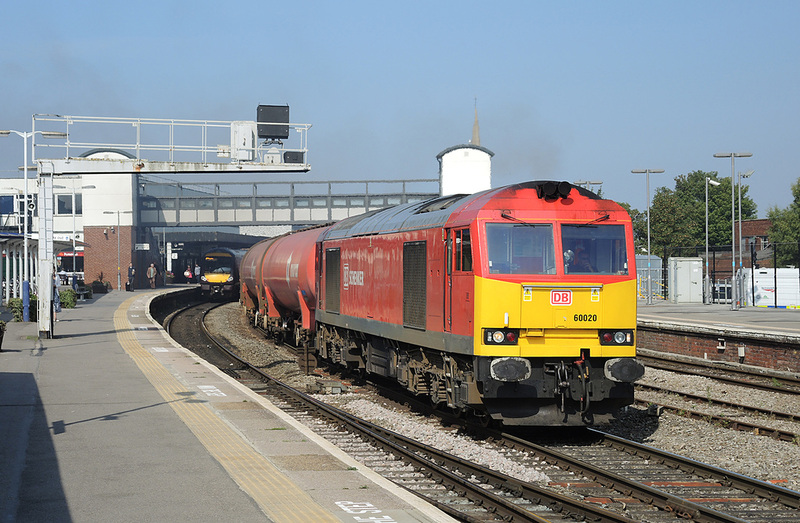 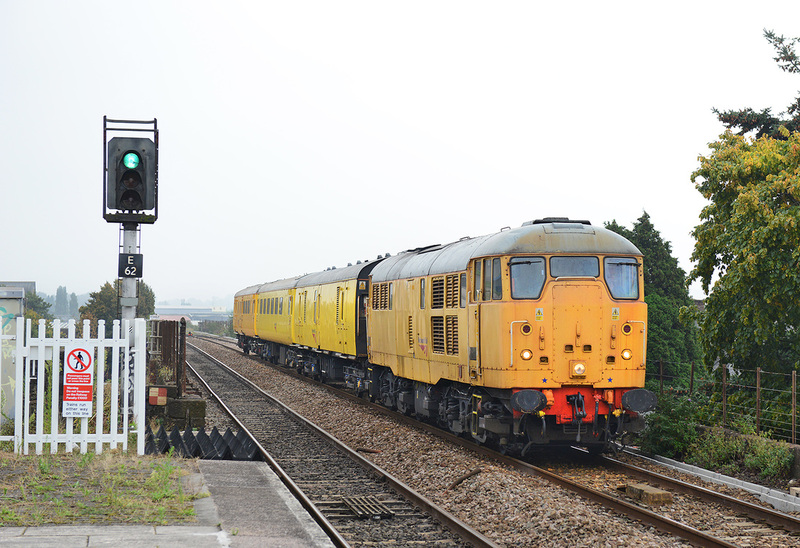 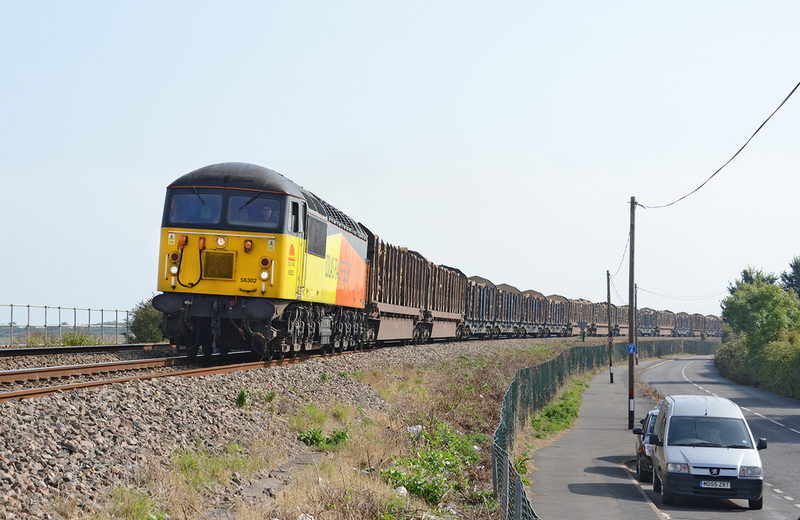 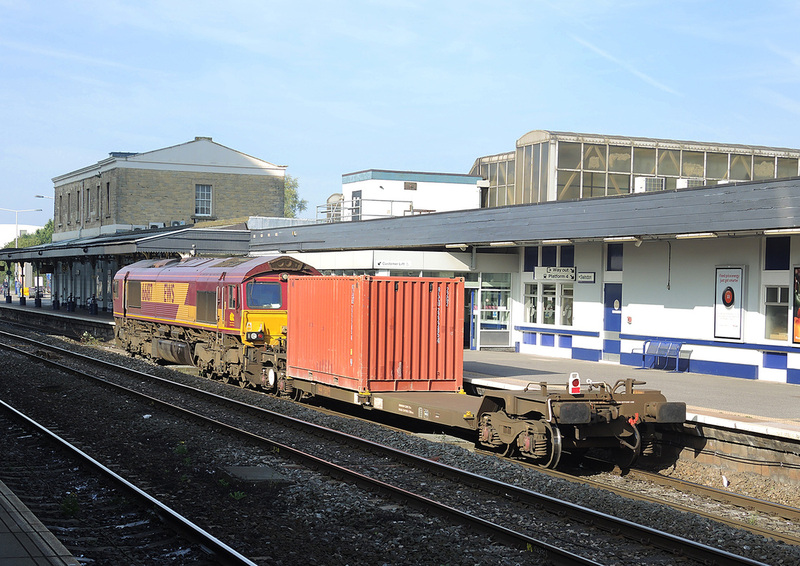 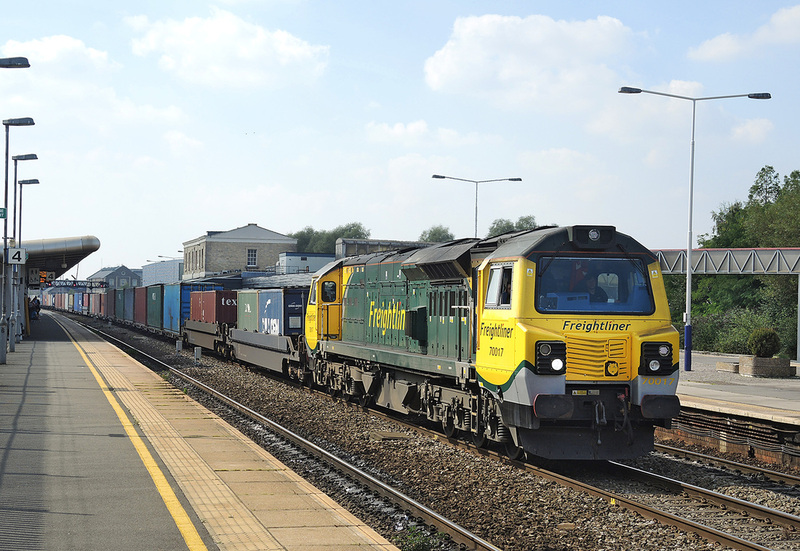 66034 passes through Dawlish station on 7 September 2014 powering engineers train 6W97, the 07.35 Burngullow West Junction to Eastleigh Yard formed of long welded rail wagons. 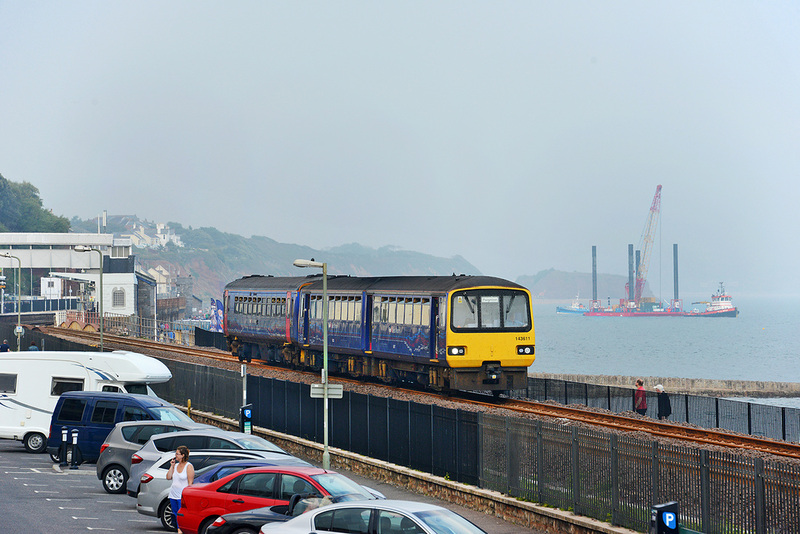 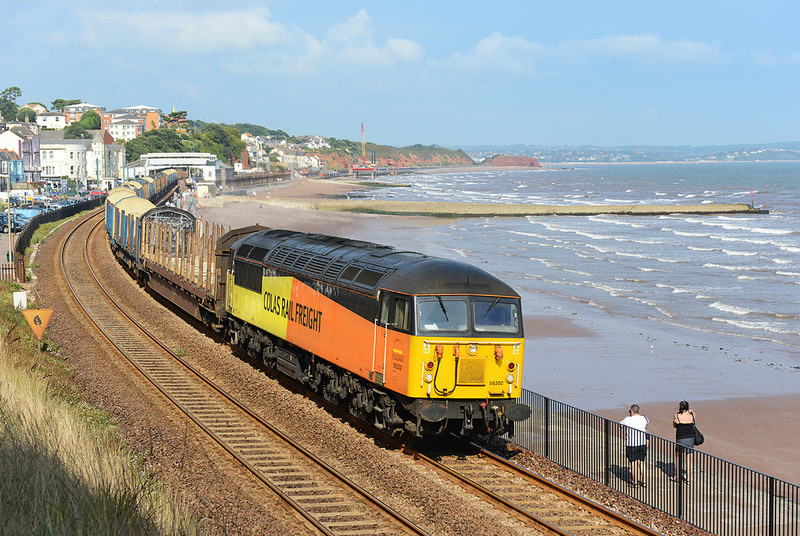 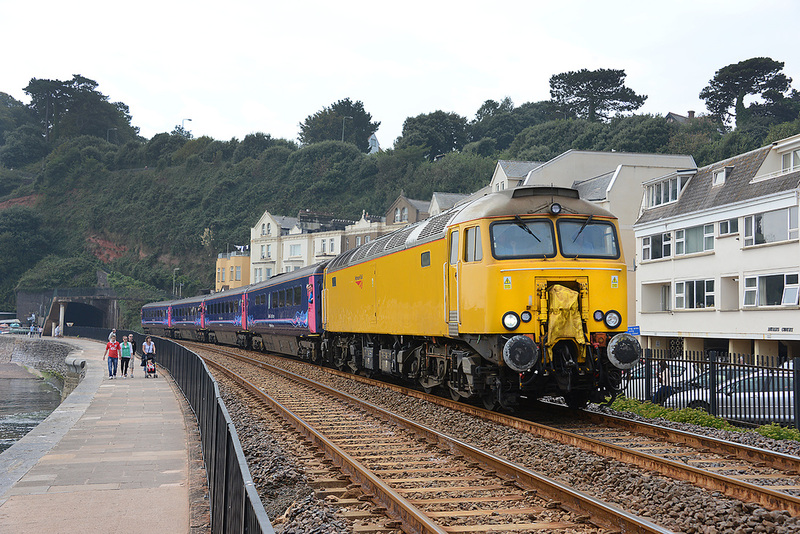 143611 down Dawlish on 6 September 2014 with 2T22, the 16.48 Exeter Central - Paignton. 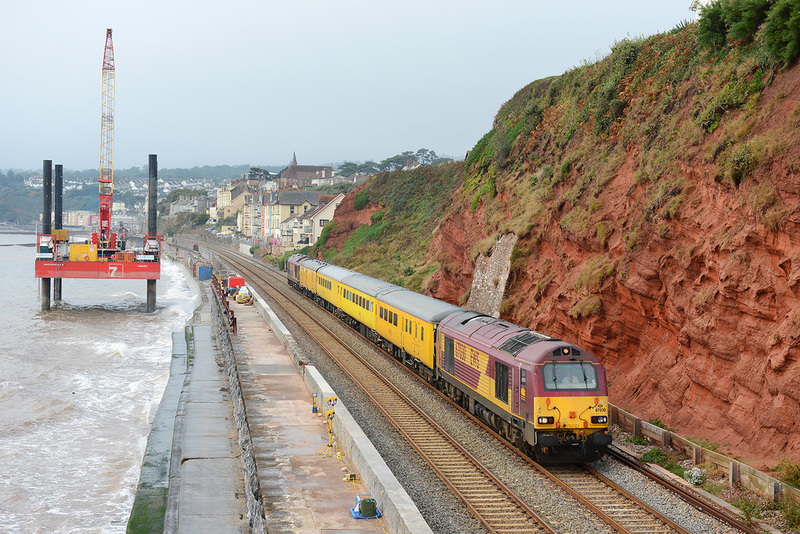 The train is passing MTS Indus, Haven Seariser 4 and Boo Jum Bay being placed in position to start major sea wall work to raise the height of the lower section to the full height. 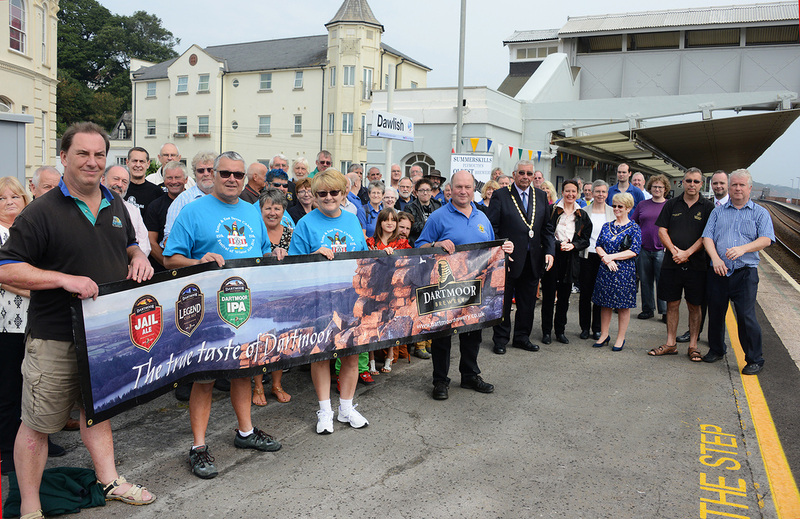 On 6 September 2014, Dartmoor Brewery launched their 'Dawlish On Track' beer in a special event at the town's railway station and at the Marine Tavern pub in the town. 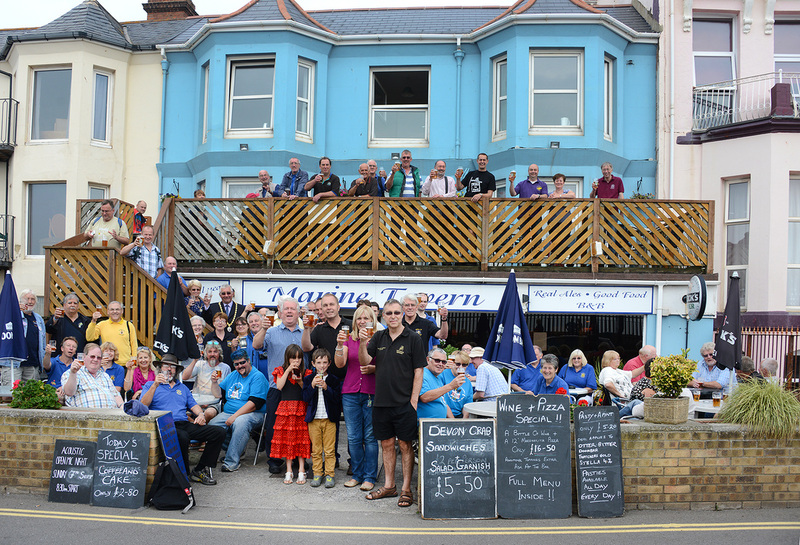 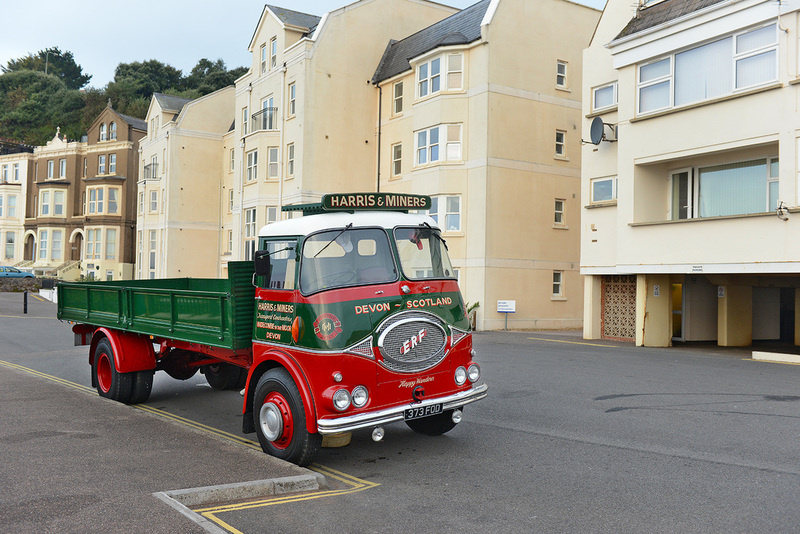 The event was organised by the Devon and East Devon branch of Camra. 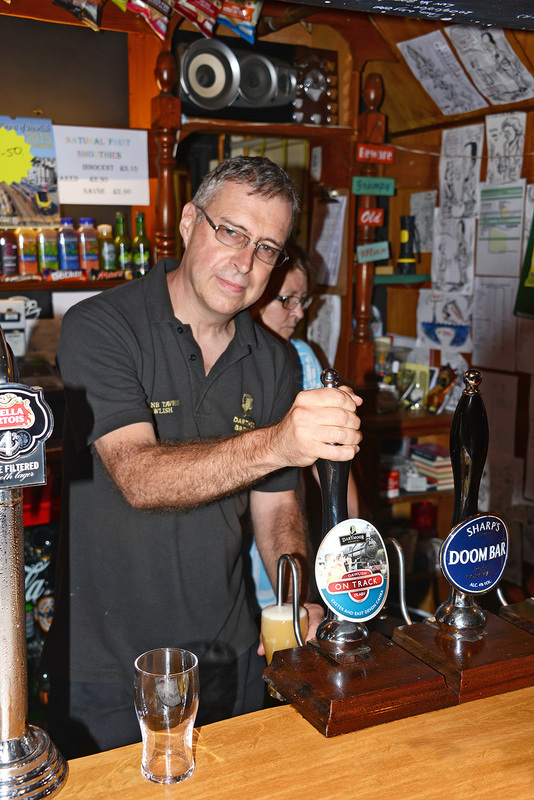 The above pictures show the event at the station, at the Marine Tavern and Landlord Andy pulling one of the first pints.